Hey guys, hope you're doing well. Now that summer is over its time to focus on the most important fashion season of the year which is fall. 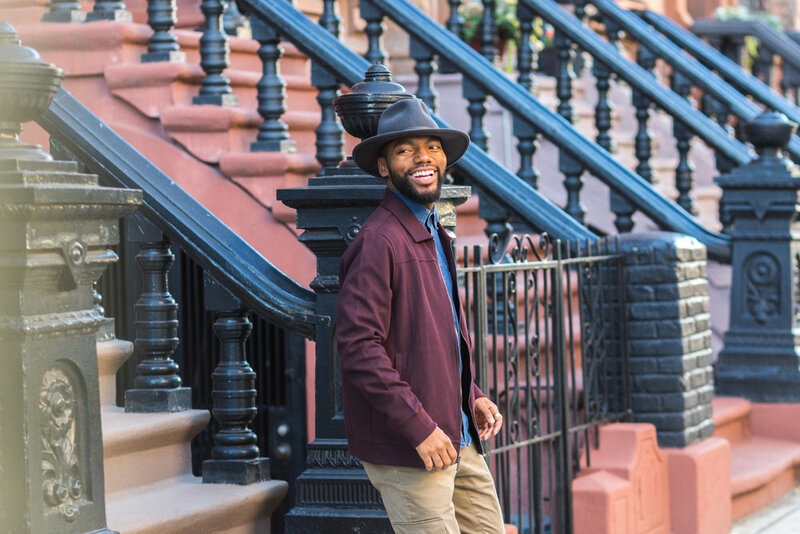 Fall is the best time for layers, bold colors and a good time to play around with different fabrics. 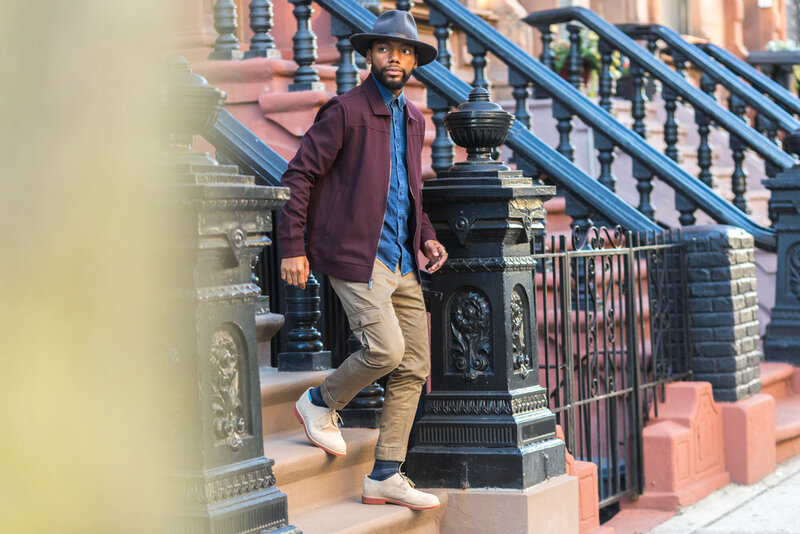 For this blog post, I teamed up with Perry Ellis to be a part of their #100PiecesofPerry campaign. 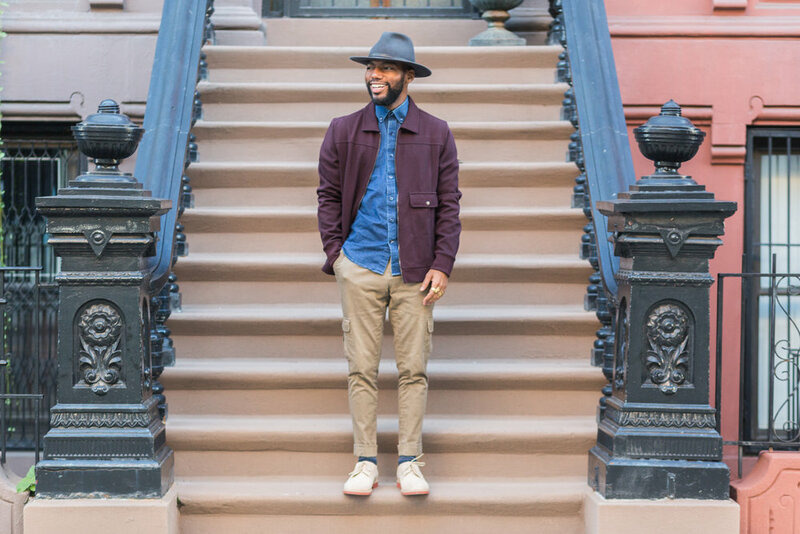 Just as I mentioned before the fall is a great time to mix and match fabrics, so I decided to mix a denim shirt with cotton chinos and layer on a twill knit jacket. 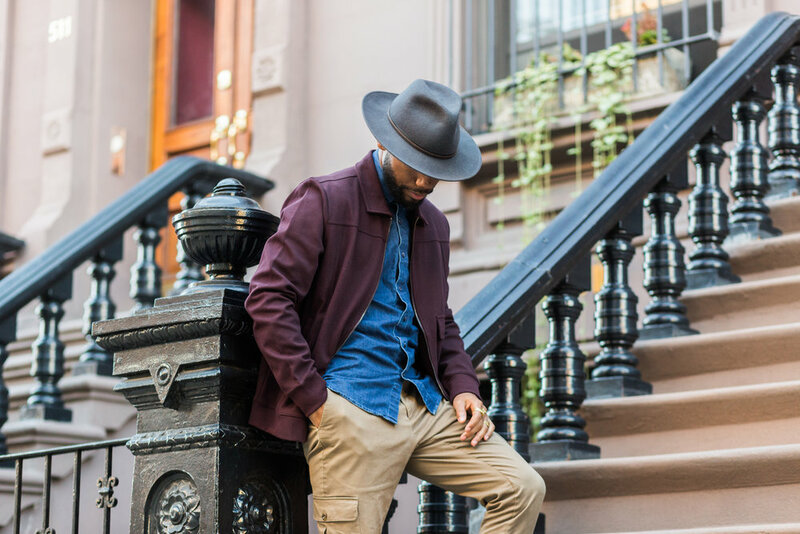 Another great addition during the fall is the fedora, when in doubt always put on a hat. 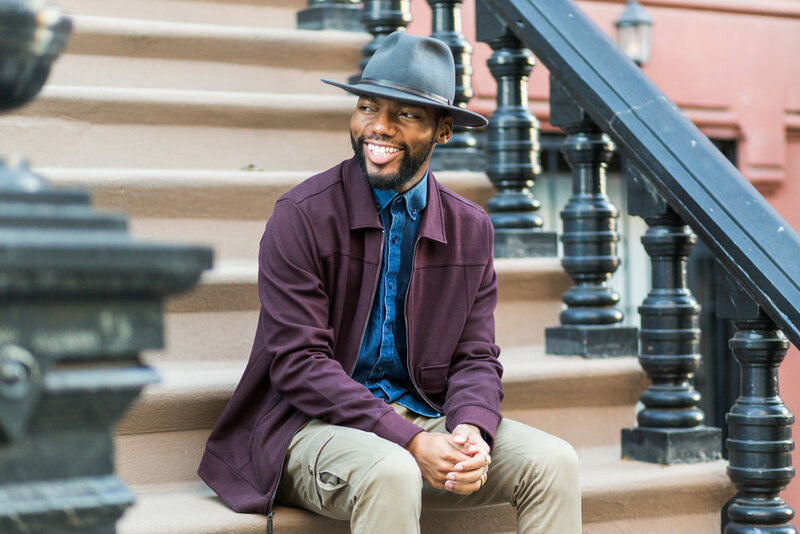 A hat instantly elevates your outfit and adds some confidence. To round out the fall inspired outfit I went with some new kicks I just picked up from Five Four and their new collection designed by Mark McNairy. Anyone who knows me can tell you that I am a sucker for suede shoes and these are my new favorites. Well that's all for now, let me know if you would wear this outfit and what other fall style essentials I may have missed. Talk soon! !